Off-roaders rejoice. Jeep India is said to be readying up the Compass Trailhawk version for a launch this year. The exact specifications of the Compass Trailhawk that will be launched in India haven’t been revealed yet. However, Autocar reports that it’s likely to be one of the export-spec Compass model’s that Fiat’s Ranjangaon factory builds for right-hand drive markets around the world. In fact, the Compass Trailhawk is already being manufactured India, for the Australian market. 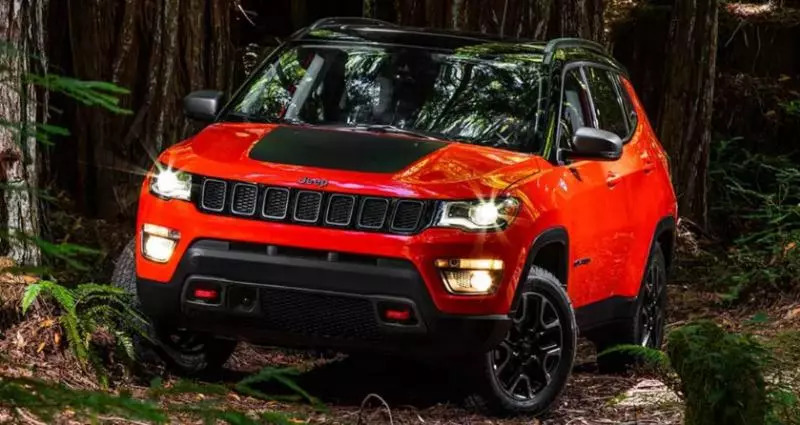 The Compass Trailhawk that Jeep builds for Australia at Ranjangaon uses a 2 liter turbo diesel engine with 170 Bhp-350 Nm on tap – an engine already available on Indian variants. On the Australian Trailhawk model, this engine is paired to a 9 speed automatic gearbox. Other key changes include Jeep’s Active Drive low-range 4WD, hill descent control, and a new ‘Rock Mode’ for its Selec-Terrain 4WD system. The ground clearance goes up by 20 mm while the front and rear bumpers get tweaked to boost approach and departure angles. All these changes will give the Compass Trailhawk better off road performance. Nearly every Jeep sold internationally gets a ‘trail-rated’ model, which capitalizes on the company’s rich off road engineering expertise. Adding a new off road model for India should not be hard for Jeep as the company already builds such a model here. Moreover, the diesel variants of the Compass in India will gain a 9 speed automatic gearbox in 2018. Expect a major price differential for the Trailhawk-spec Compass, which is likely to be the top of the line model in the SUV’s range. Prices could start at nearly Rs. 24 lakhs, considering the AT gearbox, off road-spec bumpers and other tweaks to the all wheel drive system. Currently, Compass prices range between Rs. 15.16-21.92 lakhs. Will off road enthusiasts in India fork out this much money for a dedicated off-road model? Time will tell!